Congratulations on your forthcoming event and thank you for considering celebrating with us here at our Hotel. 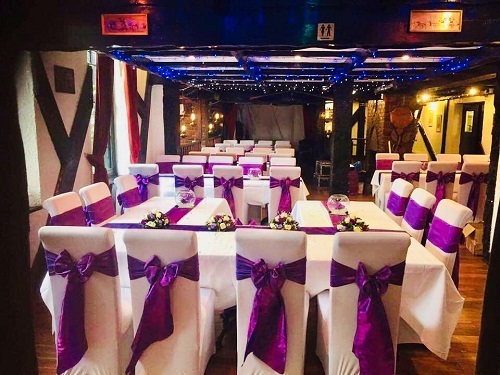 We hope you find our Wedding Package and other information on the website helpful but please keep in mind that we can tailor our packages to meet your every need to ensure you have a day to remember. Our Restaurant can accommodate up to 75 people for a sit down meal and up to 140 guests for finger buffets. We have a fully licenced bar offering an extensive range of beers, wines and spirits. Should you wish to make a booking or would like to come in for an informal chat please do not hesitate in contacting us.